Squirt Gun - THE OLIVE BLOGGER - Recipes your family will love! This was a really simple game to set up, and with how incredibly hot it was the kids used the bucket of water for more than filling their water guns! Set up is so simple! 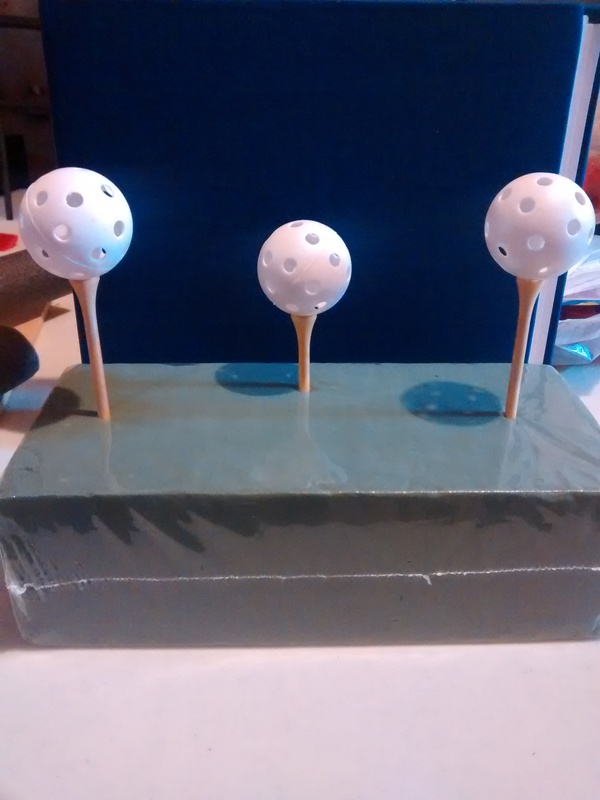 Take three golf tees and set them into the floral foam (leave the floral foam in its plastic wrapper to help repel the water) make sure to set your center tee a little further back and slightly deeper into the foam. Then all you need day of is a bucket of water and a small table to set the foam on! Easy to set up, easy to play, and it kept the kids cool in the heat !